Our 3-in-1 foam roller features the sturdy foam of traditional foam rollers, but then has a smaller, softer ridged roller inside. After that, out comes a self-massage stick which is great for those hard to reach places! 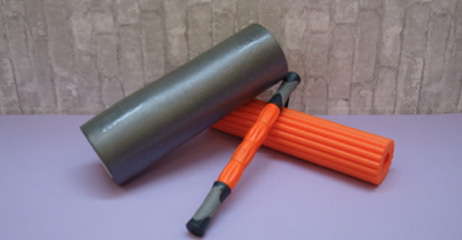 Enjoy foam roller workouts and many more at www.pilatesonfifthonline.com!